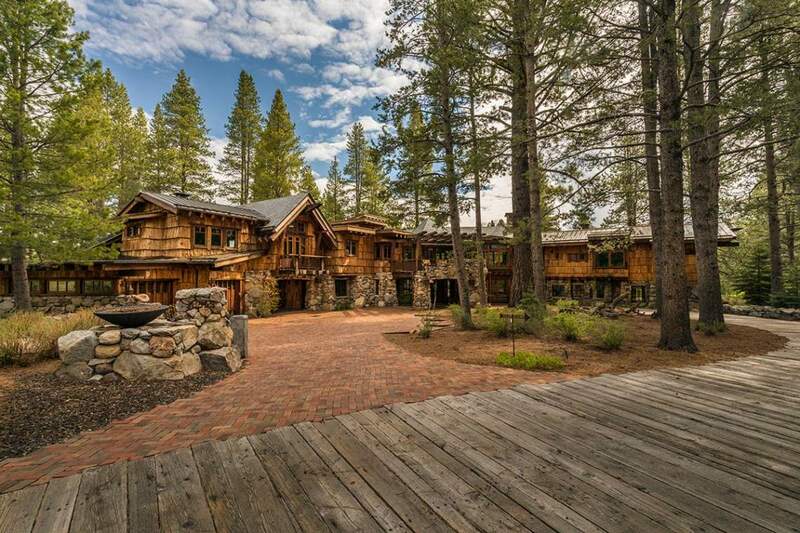 Home > Listings > SOLD – Lahontan Realty – Home 65-66 – 12355 Lodgetrail Dr.
SOLD – Lahontan Realty – Home 65-66 – 12355 Lodgetrail Dr. In Martis Valley, few trees stand out more majestically than one seed tree that was spared the axe more than a century ago. Today, that tree stands proudly as the official greeter and centerpiece of a home that’s equally impressive. 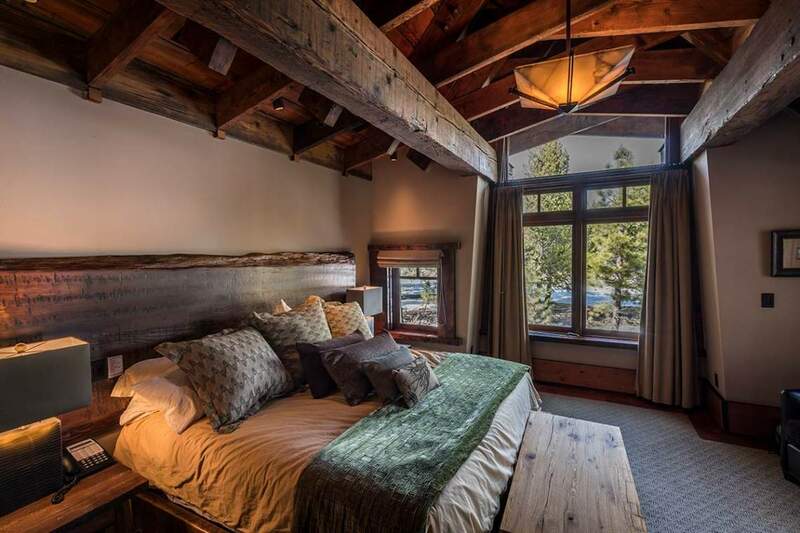 Inside, you’ll find many components that were locally sourced, including a front entry bench made from timbers in Truckee’s burned railroad tunnel and a front door handcrafted from salvaged redwood telegraph poles in northern California and adorned with hand-forged iron hardware by local craftsmen. 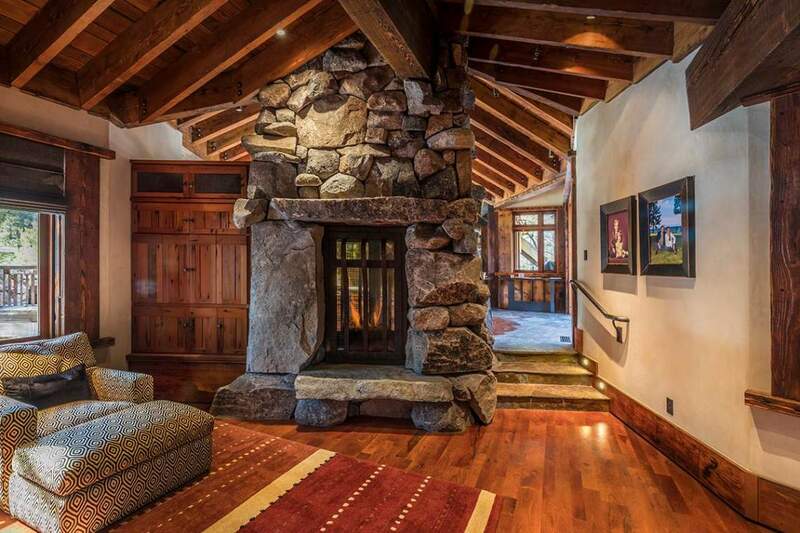 The fireplace boulders are from Donner Summit and guesthouse shingles are from wormwood tree stumps found in a riverbed while a dining table, wine cellar table and bar counter crafted from a fallen redwood tree. 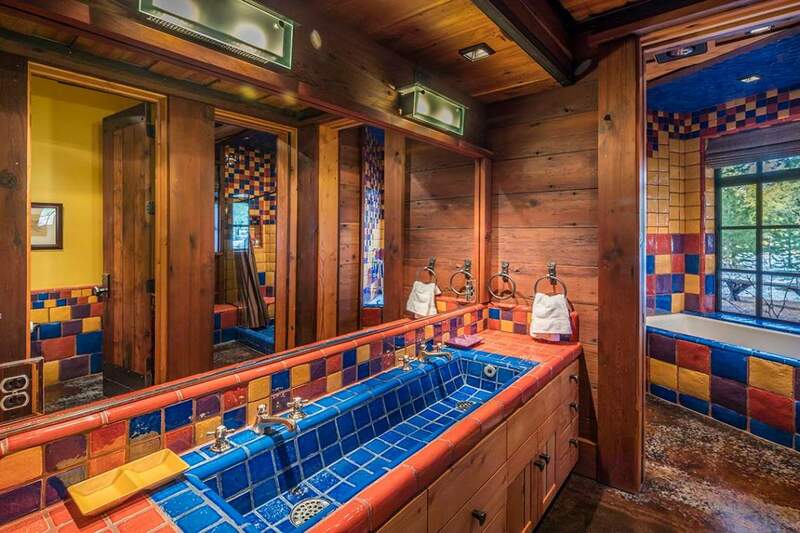 Other items are from times and places far away, including a powder room whose doors were built 1000 years ago in China and whose limestone sink was salvaged from a farmhouse in China and whose backsplash tiles were originally Chinese road tiles. Even the guest cabin chairs hold a story; they’re bound with 200-year-old reindeer hides. 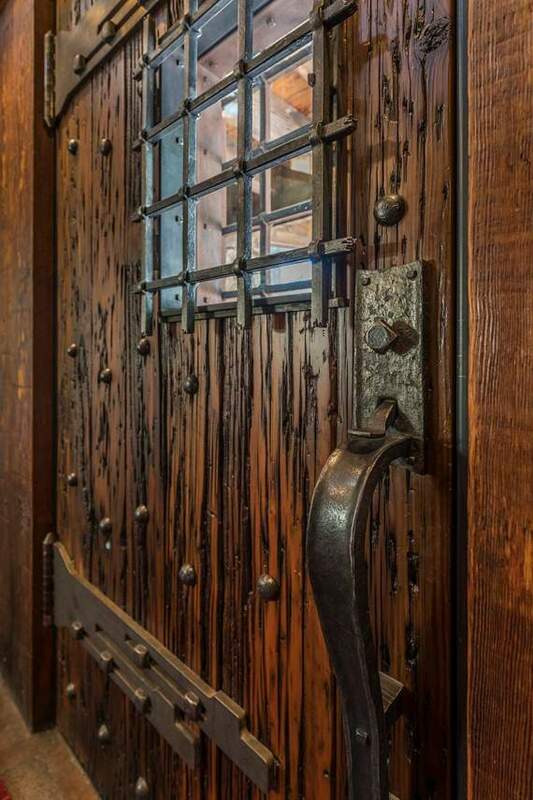 You’ll find reclaimed timbers throughout, as well as locally crafted metal window frames. 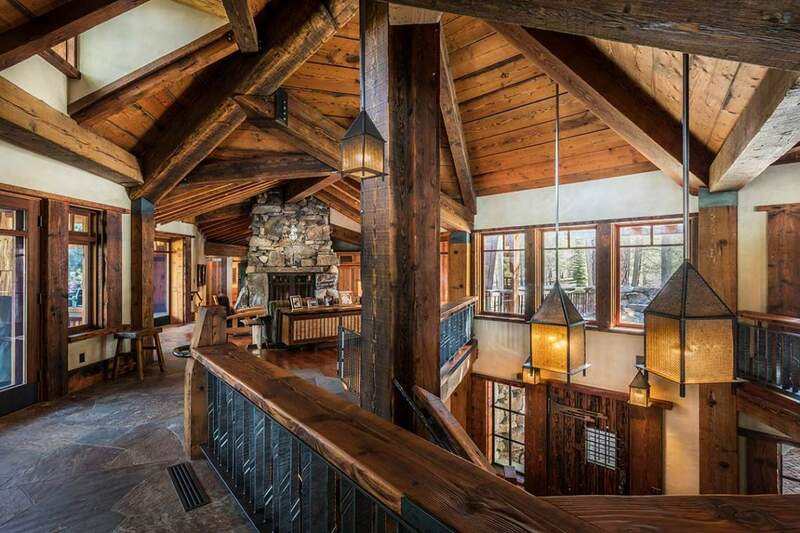 A winding staircase leads to the main floor of this 8,534-square-foot home, focal point of which is a great room with flanking decks — one deck facing the great tree to one side and the other to the fairway below. 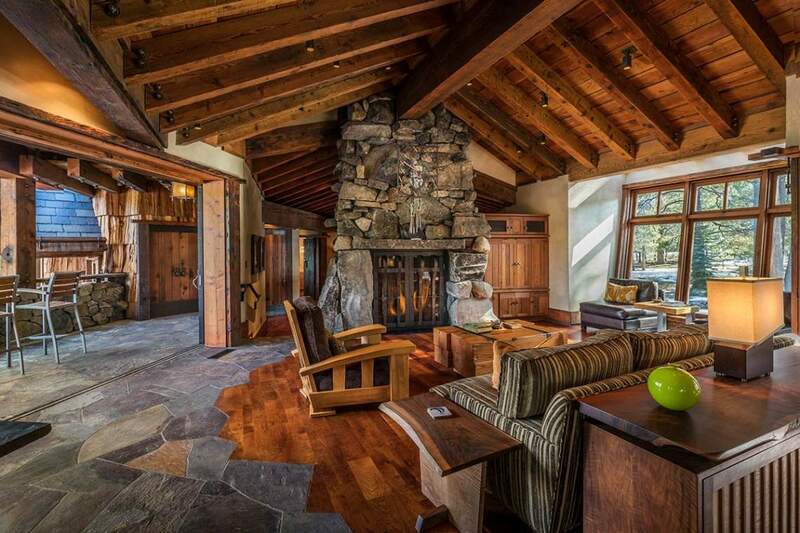 Floors are mesquite, the fireplace granite and sliding doors disappear to bring the outdoors in. One direction from the great room leads to an office, weight room, and a master wing whose bedroom enjoys its own deck with fairway views and a hydronically heated whirlpool tub that is nothing short of luxurious. 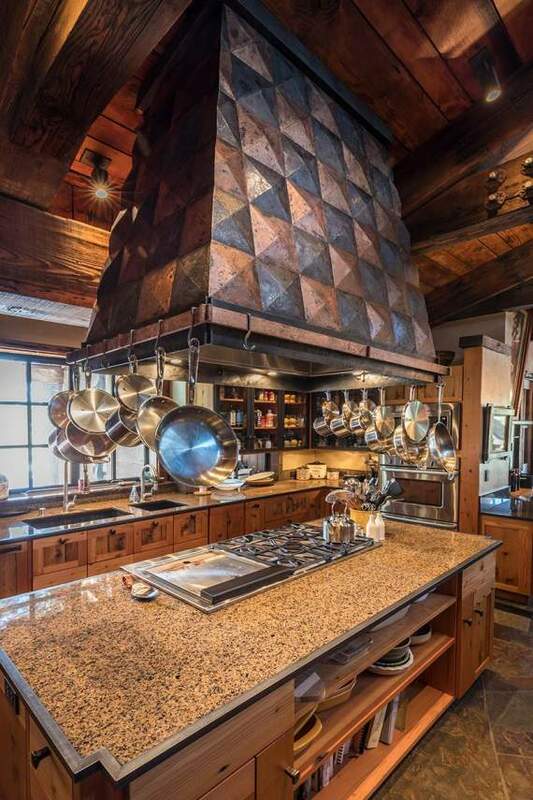 A left turn at the top of the stairs leads to a regal dining room, a screened-in outdoor dining room, a kitchen with a wine and coffee bar, large counters, and a stove capped by a custom, artistically crafted copper hood that was 18 months in the making. 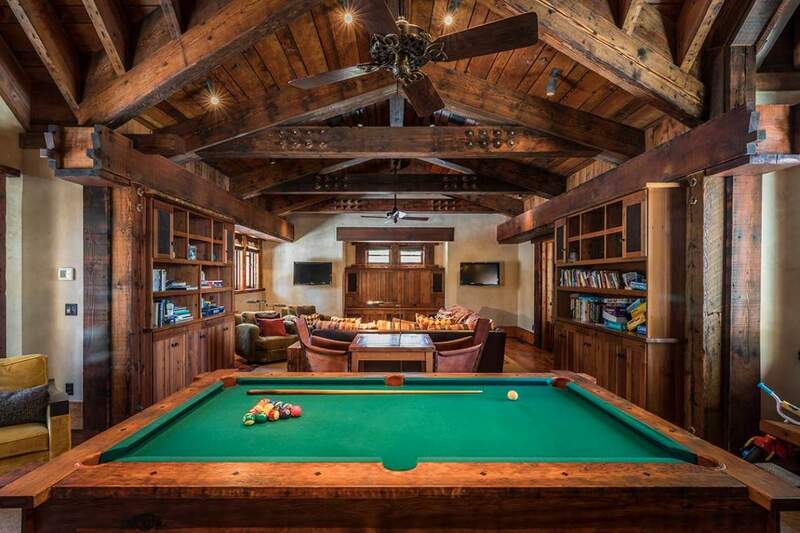 The media room beyond the kitchen features a big screen tv and a pool table and oversized Scrabble board that were hand-crafted by a Canadian wood master. 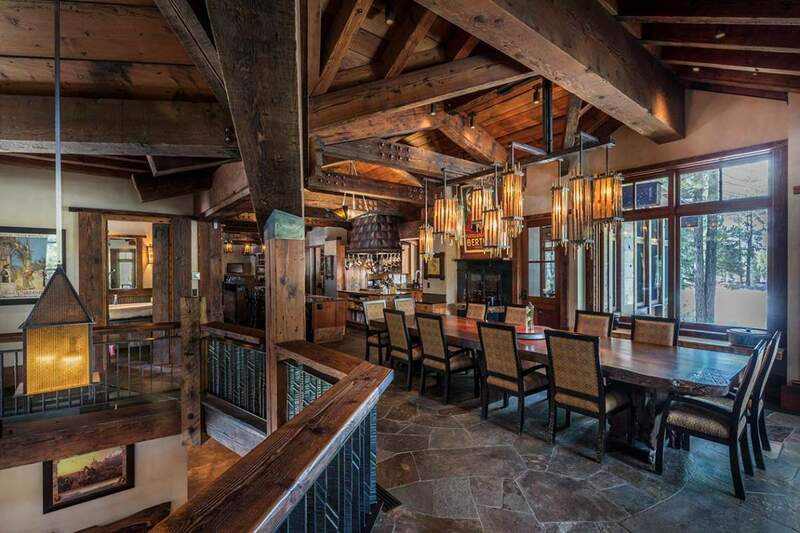 Ever-present throughout this 6-bed, 6-bath, 2 powder room house are reclaimed, single mass wood beams that lend a lodge-like feel to the atmosphere. 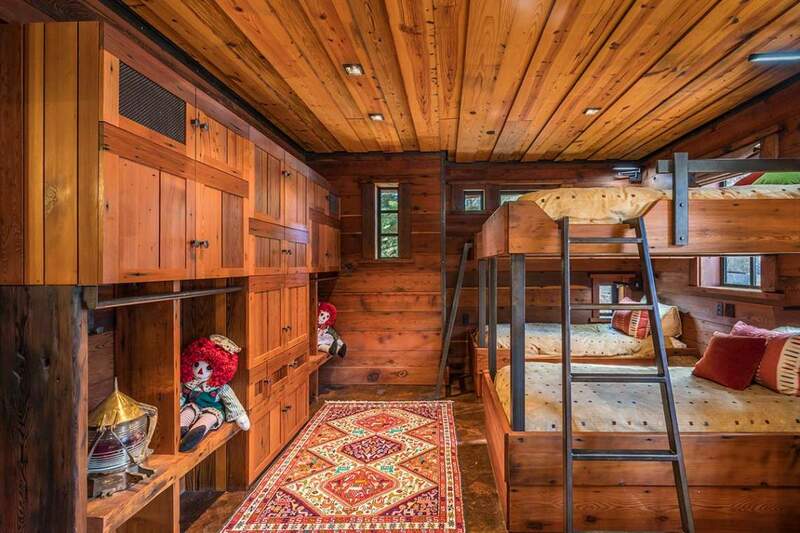 The lively downstairs scene is best exemplified by a bunkroom with whimsical touches and a bathroom that radiates with creatively youthful tile. 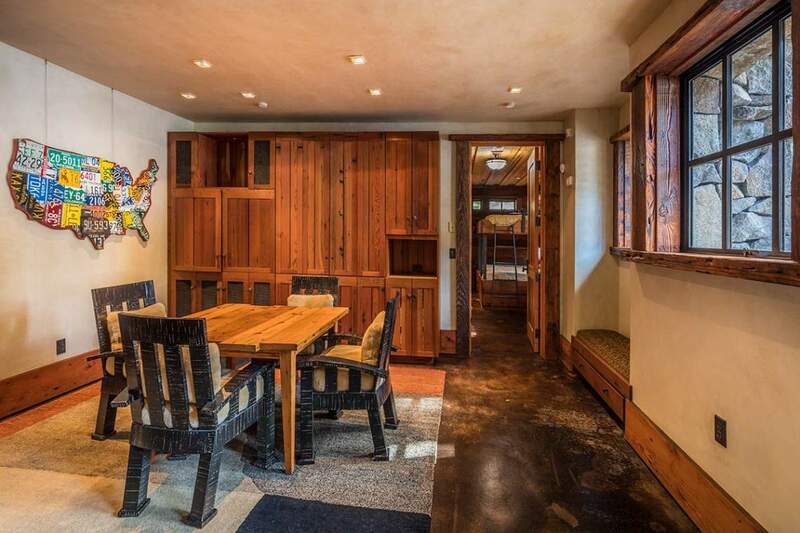 On this level, you’ll find a media room that unites the two bunkrooms, various patios, and a cavernous wine cellar that accesses an outdoor tasting room and an expansive patio with barbecue, hot tub and gallery views of the 2nd hole. 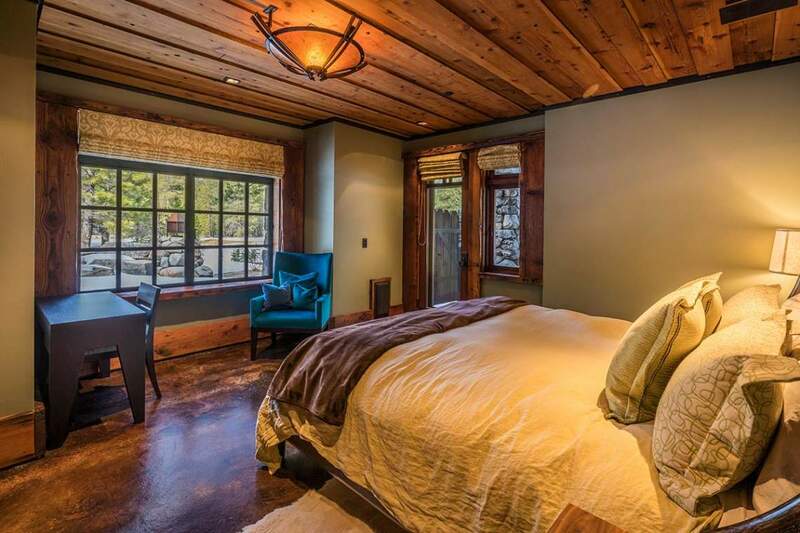 Tucked quietly behind the main home and connected by a brick driveway is a cozy, artistically crafted guesthouse with all the amenities needed to settle into a setting of pure quietude. 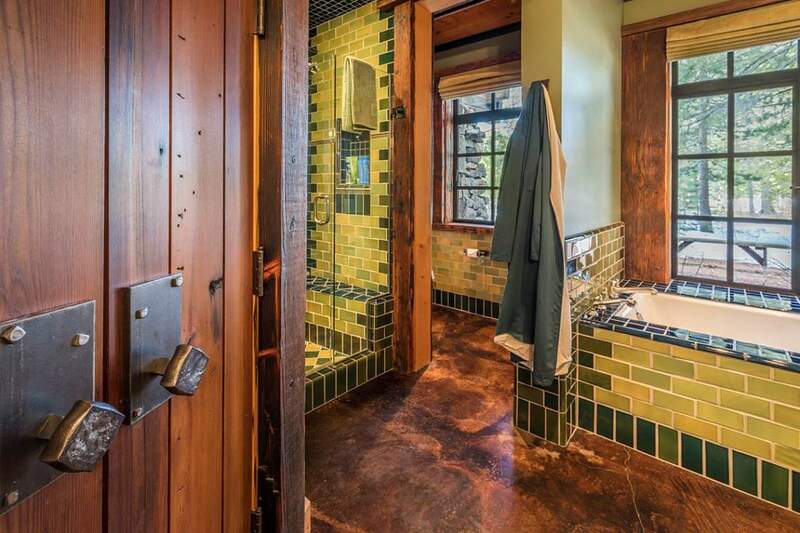 Richly stained concrete stamped flooring runs the course of the cottage. 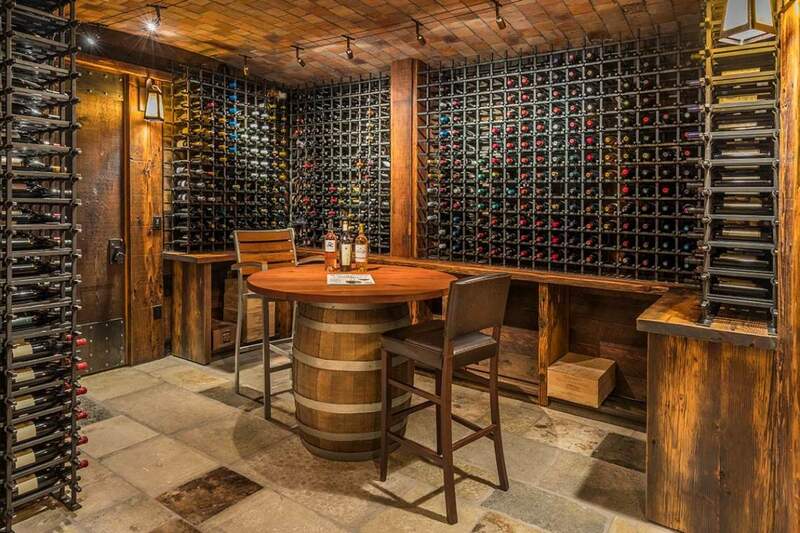 Cabinets are made from recycled oak wine barrels. There’s a kitchen, custom furniture and a stunning fireplace beside windows that gaze off toward greens, fairways, forest and lake. While privacy is a premium, there’s always a quick escape to the main scene: a staircase on the other side of the drive leads to the upstairs game room while downstairs doors swing open to the garages and the home. 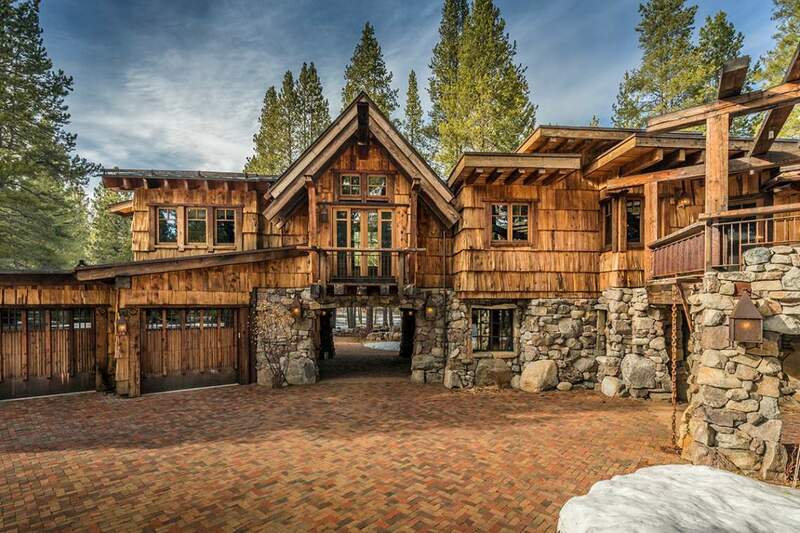 The coat of this home is a striking blend of Sierra granite with thick slabs of cedar and a roof whose slate was imported from Quantico Air Base. The home is fully automated with Lutron and Savant while speakers are wired in the kitchen, great room and master suite. 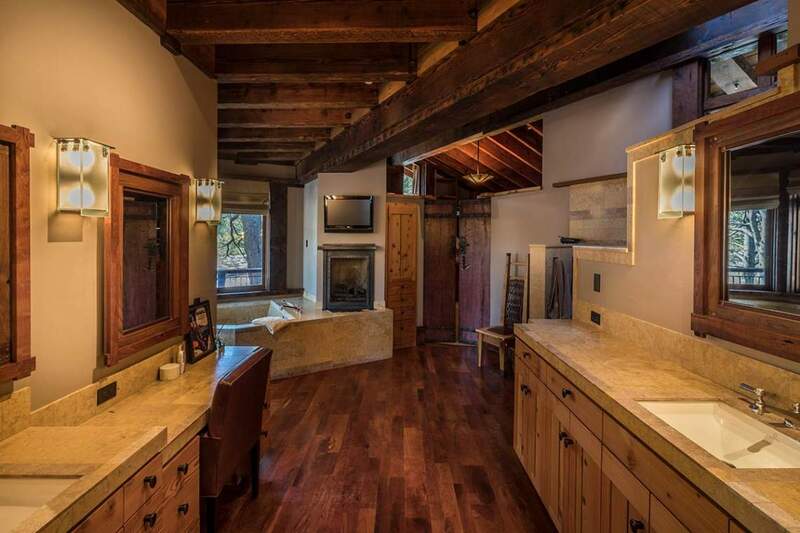 Cabinets, paneling and ceilings are all Douglas Fir while countertops are primarily granite and custom tile. Walls are an elegant Venetian plaster. 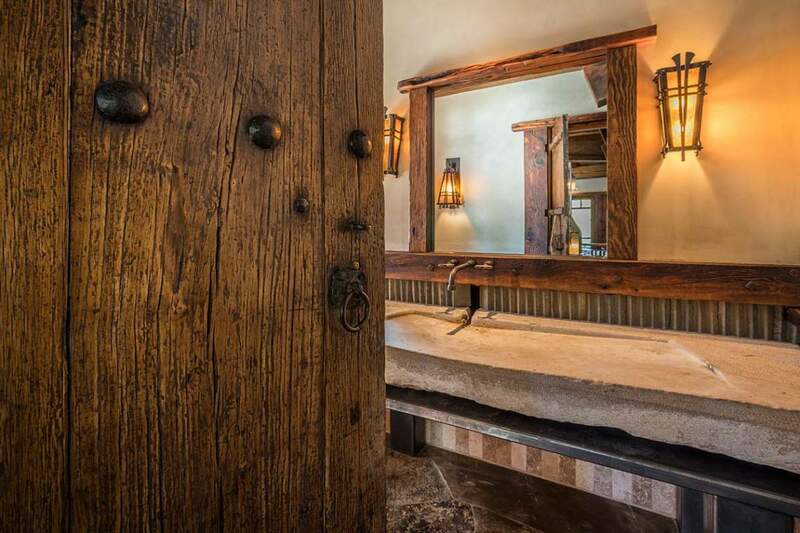 Flooring materials include mesquite, stained concrete, and slate stone. 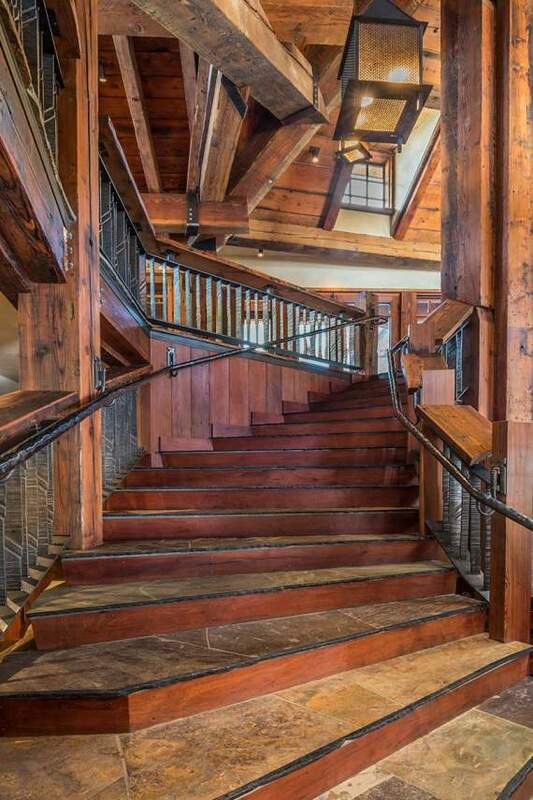 The staircase that guides you toward the hub of the home is accented by custom ironwork. Appliances include Sub-Zero and Fisher/Paykel and the home features five sets of washers and dryers. 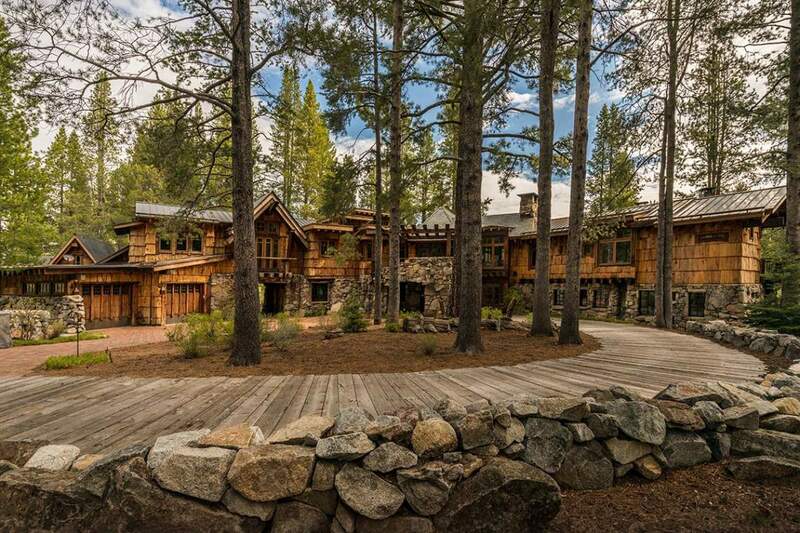 Apparent at places throughout the home are uniquely re-purposed accents and elements from across the globe, each adding to the collective rugged elegance of this home, all under the gaze of a tree that’s among the grandest around.